Home » Birchbox » Dear Clark » Dear Clark Haircare x Birchbox: Texas and NYC meet! Dear Clark Haircare x Birchbox: Texas and NYC meet! It was at a Beauty event where I first met the owners of this haircare line. I learned they were the hair experts on the show "Dallas" and their clean and cool looking packaging stood out among others. The September Birchbox will have a little bit of Texas to sample from Dallas’ very own Dear Clark haircare. Samples of the shampoo and conditioner, which are adored by celebrities, hairstylists, and clients alike, will be available to a select number of Birchbox subscribers! Both men and women will be sampling the ingredient-conscious products, as a selection of both male and female subscribers will be receiving these Texas-based products in their September box. The shampoo and conditioner, or Resurrecting Wash and Rinse as they are known, contain ingredients such as Aloe Vera, Sunflower Seed Oil, and Rose of Jericho all of which are sourced from Texas. The line has been categorized as ingredient-conscious, which means the products are free of parabens, phosphates, sulfates, petrochemicals, and GMOs. The products are safe to use and repair damaged hair. Holly Dear and Kaycee Clark, co-owners of Dear Clark Hair Studio and the masterminds behind the haircare line, take pride in the high-quality of their products. "We saw the need to produce a more natural, active, quality-derived ingredient haircare that penetrated the hair shaft instead coating it with silicones, which is a more common band-aid effect," Clark said. If subscribers aren’t lucky enough to try the products in their Birchbox, retail sized products will be available on Birchbox.com and at Birchbox's SoHo store in NYC, located at 433 West Broadway. Subscribers may also visit the Dear Clark website. "This a perfect opportunity to sample Dear Clark Haircare without making the big commitment, although we are confident they will be back for more," Kaycee Clark said. Holly Dear and Kaycee Clark first met in the 1990s while working at Toni and Guy. Their paths eventually led them in different directions. Holly took off to Italy to develop products for Kemon, and Kaycee headed west to work for KMS California as the Global Creative Director. In 2007 they reunited, and launched Dear Clark in 2008 with a goal of creating a teamwork environment with an emphasis on the entrepreneurial spirit. The salon is now home to over 30 stylists and includes a full-service blow dry lounge. 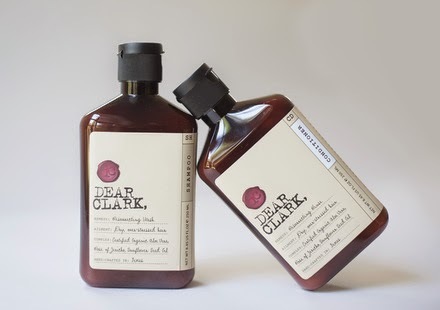 In April of 2013, Holly and Kaycee launched the Dear Clark product line. Homegrown in Texas and crafted locally, the Dear Clark Haircare Salvation is loved countrywide. Dear Clark info here. Launched in 2010, Birchbox is a leading beauty and grooming ecommerce company for men and women. Birchbox redefines the retail process by offering consumers a personalized way to discover, learn about and purchase the best beauty, grooming and lifestyle products. With more than 800,000 members, Birchbox users enjoy first-touch experiences with new products each month and exclusive access to expert editorial content to help them get the most out of each item. Additionally, through Birchbox’s online store, customers can shop a handpicked selection of full-sized products from more than 800 top brands such as Smashbox, Caudalie, Jouer, Supergoop!, Cynthia Rowley, Baxter of California, Lab Series, and Art of Shaving. In 2012, Birchbox acquired an international competitor gaining outposts in France, Spain and the UK. To learn more about Birchbox, visit www.birchbox.com, or follow them on Facebook, Twitter, YouTube and their blog.